at my most favoritest udon resturant ever, somewhere in Ishibashi (Shimotsuke City). Hand-made, thick, flavorful and yummy. 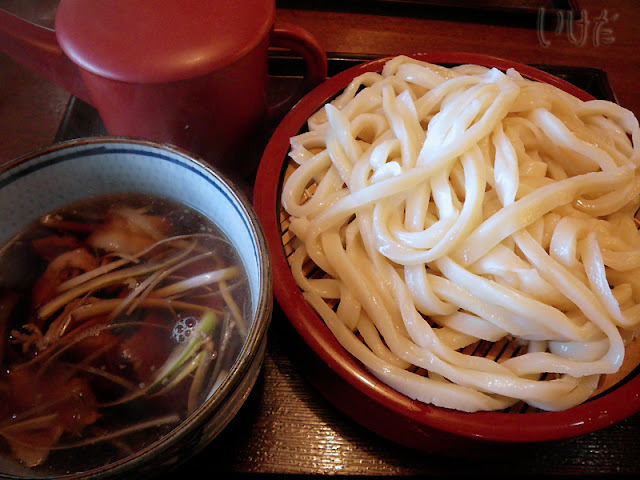 Definitely not genteel sanuki style udon. This is pure Tochigi style. That looks good, but my favorites are still ramen or soba. In Hawaii, saimin is most popular. とても美味しそうですね。関西ならではかしら？子供の頃のファーストフードはうどんでした。 I hope to try Tochigi style udon.